Administrative Law Judge (ALJ), Stella L. Owens-Murrell, Office of Administrative Hearings (OAH), State of California, heard this matter on September 24, 2013, in Van Nuys, California. Student was represented at the hearing by her mother (Parent). Student did not attend the hearing. Los Angeles Unified School District (District) was represented at the hearing by Attorney Angela Gordon. Francine Metcalf, due process specialist for District, also attended the hearing. Student filed a Due Process Hearing Request (Complaint) on July 29, 2013. No continuances were ordered prior to the hearing. At hearing, a continuance was granted to October 1, 2013, to permit parties to file written closing arguments, at which time the record was closed and the matter was submitted. Whether the April 9, 2013, individualized educational program (IEP) offer to change Student’s placement from the Lull Special Education Center to the Lull Small Learning Community School was an appropriate placement in the least restrictive environment? 1. Student was 14 years of age at the time of the due process hearing. At all relevant times, he lived with his mother (Parent) in the jurisdictional boundaries of the District. 2. District initially assessed Student and determined Student to be eligible for special education services under the disability categories of autistic-like behaviors and mental retardation1 on October 24, 2002. The initial assessment established Student had below average abilities in cognition, school readiness, social skills, communication, and adaptive behaviors. He had a history of behavioral difficulties, both at home and in school. Student communicated by grunting, squealing and through various behaviors. Student reportedly had a propensity to tantrum and hit himself when agitated. 3. District initially assigned a temporary support assistant to help remediate Student’s negative behaviors. Student attended District’s Preschool Intensive Program at Lokrantz Special Education Center from December 9, 2002 to June 2, 2003. He began attending the Fred Lull Special Education Center (Lull) in the fall of 2003 where he remained from kindergarten through the ninth grade. 4. At the time of the IEP in dispute, Student was enrolled in the ninth grade special day program (SDP) classroom for students with varying levels of autistic-like behaviors at Lull. He received daily instruction from a special education teacher and assistants. Student’s ninth grade program provided him with numerous supports and accommodations to facilitate access to his education. The supports and accommodations included a classroom with a high staff-to-student ratio; constant adult supervision; strong behavior management program; repetition; physical and verbal prompting; multiple opportunities for practice; modified curriculum and pace of presentation; multimodality presentation of materials/instructions; simple and repeated directions; Picture Exchange Communication System (PECS); positive verbal encouragement and reinforcement; shortened work sessions; use of manipulatives; peer modeling; and use of the Alternate Curriculum Guide for Students with Moderate to Severe Disabilities. 5. District conducted a psychoeducational assessment on April 3, 2013, and an adapted physical education (APE) assessment on April 4, 2013. The purpose of the assessments was to provide information that would aid the IEP team to determine the appropriate educational placement and program for Student, who was scheduled to transition to high school in his upcoming triennial IEP. 6. The psychoeducational assessment conducted by District School Psychologist Andrea Rosenfeld showed Student’s cognitive abilities and academic skills remained in the below average range. However, he could count numbers up to 100 and do simple addition problems up to the number eight. He was able to tell time and identify coins and participate in calendar activities. Student’s language abilities had progressed from significant delays in receptive and expressive language to substantial improvement in both receptive and expressive language. Student’s behaviors had improved and he was able to function in the classroom setting. He was able to understand information presented verbally to him and follow multi-step directions when presented in a clear and concise manner. He also continued to work on his intelligibility and demonstrated adequate articulation of words in order for a familiar listener to understand him. Student was reported to have made great progress in verbalizing his wants and needs throughout the school day. Overall Student had substantially improved his social emotional and self-help skills. He engaged in some interaction with his classmates in classroom and other activities. Student was able to express his frustrations in a productive manner, was generally cooperative, able to participate in class activities and follow directions, and was generally compliant in responding to teacher and staff directives. Student continued to demonstrate autistic-like behaviors such as avoidance of eye contact, repetition of words, echolalia 2 , inability to initiate conversations, withdrawing from most group situations, repetition of routines, and resistance to changes in routine, which continued to interfere with Student’s ability to initiate and maintain reciprocal, age-appropriate social interaction with other individuals. The assessment summary included a recommendation that Student would benefit from attendance in a small, structured classroom program with a high adult-to-student ratio in order to monitor for safety and to develop flexibility with transitions and changes in routine. Also included was a health assessment which concluded that while Student was healthy and verbal and got along well with his peers, he required monitoring due to his lack of safety awareness. 2 Echolalia is literal repetition of words and/or sounds a person has heard recently or in the past. Verbal autistic children are often echolalic and their word choice is usually based on a memorized word pattern. 7. The APE assessment conducted by APE Specialist Antonio Ambrosio showed that Student was ambulatory but still needed some prompting and visual cues to perform certain physical activities and classroom tasks. Student needed to continue to work on his physical fitness, was not yet able to access a general physical education (PE) curriculum and should continue to receive APE services. 8. The triennial review IEP team meeting was convened on April 9, 2013. Parent attended the meeting. District IEP team members included Andrea Rosenfeld and Special Education Teacher, Michele Davis. The IEP team reviewed and noted that Student had partially met all of his goals in Communication, Functional Writing, Functional Mathematics, and Functional Reading, Behavior and Integrated Science. The IEP team reviewed the psychoeducational and APE assessments and determined that Student still displayed deficits but had overall made significant progress in all areas of need. Based upon the assessments, the IEP team continued to find Student eligible for services under the category of autistic-like behaviors and developed present levels of performance and goals and objectives in the areas noted above. The IEP team also discussed Student’s transition to high school in District’s program to mainstream moderate disabled students into general education campuses. 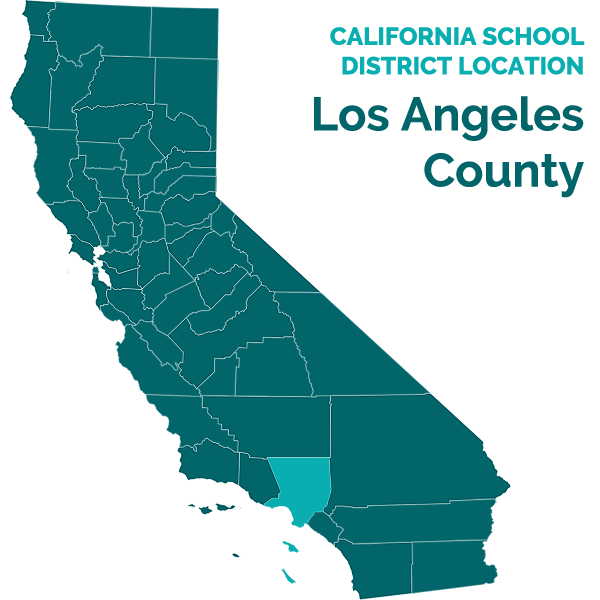 The IEP team discussed District’s offer to place Student at the newly created Lull Small Learning Community High School on the campus of Reseda High School (Lull Satellite Campus), which was Student’s school of residence. 9. The April 9, 2013 IEP offer for the extended school year (ESY) 2013 provided APE 60 minutes weekly one-to-five weeks during ESY 2013 and home-to-school transportation to assist in maintaining his current fitness level. The IEP offer for the 2013-2014 school year provided (1) APE five times weekly for a total of 250 minutes, direct service, by a licensed/credentialed provider; (2) Smart Board, picture exchange (PECS), and tablet communication device; (3) small group instruction, with visual, verbal, physical cues, extended wait time for responses, other accommodations and supports, and peer modeling; (4) alternate curriculum instruction for students with moderate to severe disabilities; (5) placement in an SDC for autistic students at the Lull Satellite Campus; and (6) integration with non-handicapped peers as appropriate at the Lull Satellite Campus; and (7) transportation home-to-school. Parent consented to the offer of services but disagreed with the placement offer. Parent preferred to have Student attend the Diane S. Liechman Special Education Center (Liechman). 10. The Lull Satellite Campus was part of District’s recent effort to develop programs to transition less severely disabled students from special education centers to a general education campus to give these students an opportunity to mainstream with typical peers in a less restrictive educational environment. Lull collaborated with parents, teachers and administrators to develop the LOVES (Lull’s Opportunity for Vocalization and Expression of Self) program. LOVES is at the center of the redesigned program. Its purpose was to provide an opportunity to selected special education students to integrate into the community by relocating to general education campuses and attending special education classes that comport with their IEPs. The first phase of the program at Lull Satellite Campus took effect in the 2013-2014 school year. 11. The Lull Satellite Campus was self-contained and situated on a section of the general education campus. The campus was safe and the entrances and exits were secured. There were three classes, one for autism students, one for ID students, and one for students with multiple disabilities. The autism SDC had seven students, one teacher, and three instructional assistants. The classes were staffed by teachers and aides from Lull, had the identical curriculum, and were equipped to implement the students’ IEP’s. The class routine and schedule was the same as that at Lull. The objective of the program was to provide an opportunity for students to be educated with typical peers taking into account each student’s unique needs. The students were accompanied by adult aides at the campus for their safety. The students were also taken out into the community and taught the importance of safety. The program would further facilitate interaction with general education peers at Reseda High School. Students would gradually be introduced to the general education students through a social skills program. There was a plan to integrate PE classes into a unified sports program which would give students an opportunity to play soccer and basketball with general education peers. Lull Satellite Campus students are expected to gradually transition into mainstreaming with the typical students on campus, for example at lunch time. 12. Parent testified that the program and services District offered in the April 9, 2013 IEP was a good offer. However, Parent preferred Student attend Liechman because Liechman met his needs and specialized in children similar to Student. She believed that Liechman provided opportunities for Student’s involvement in sports activities in which Student liked to participate. She had a daughter who was autistic and who attended Liechman in an autism program. She believed that Student would achieve greater success in such a setting and would likely be in the same classroom as his sister. Parent had concerns for Student’s safety. She explained that she was a single parent of three children and that it would be more convenient for Student to attend Liechman with his sister because she had no private transportation and it would present a difficulty for her if she had to coordinate transportation to get to all of her children in the event of an emergency. She also believed that Liechman was better for Student because the Lull Satellite Campus was too large and unsafe for Student and, at Liechman, his sister could look after him. She testified that she had kept Student at home and he was not currently attending school. Parent presented no additional witnesses or evidence to establish that the Lull Satellite Campus was not an appropriate placement for Student. 13. Leslie Zarate-Wise was the principal at Lull. She had more than 30 years of experience in the field of special education. She was employed as principal at Leichman for several years before going to work at Lull and also served as the principal at the Lull Satellite Campus. Ms. Zarate-Wise collaborated with Reseda High School officials and administrators in every aspect of the transition to the Lull Satellite Campus. Ms. Zarate-Wise did not attend the April 9, 2013 IEP meeting. However, she testified as District’s expert concerning District’s program to redesign the delivery of education services to moderate to severe special education students and its relationship to the April 9, 2013 IEP offer of placement at the Lull Satellite Campus at Reseda High School. She persuasively opined that the Lull Satellite Campus was safe, the classrooms were staffed with a high adult to student ratio, and the placement provided Student opportunities to improve his communication skills, to continue progress toward his goals, and was appropriate. 14. Michelle Davis was employed by District as a special education teacher. She had at least 10 years of experience teaching moderate to severe special education students. She had been Student’s teacher at Lull for the past three years. She described Student as eager to please the teacher and great at sign language. She confirmed Student’s deficits and areas of need as indicated in the May 3, 2013 psychoeducational assessment and as discussed at the April 9, 2013 IEP team meeting. Student was not a wanderer, he was a good listener and followed instructions such that she was not concerned for his safety on campus. Student had successfully participated in an animal science program at Lull in which Lull students traveled to John Wooden High School and took an integrated science class with typical students. Ms. Davis opined that Liechman was not an appropriate placement for Student because it was located on an isolated campus with no opportunities to interact with general education students. Placing Student at Liechman would be a detriment to him because there were no opportunities for growth. Ms. Davis credibly testified that, based upon her knowledge of Student’s needs and abilities, placement at the Lull Satellite Campus provided Student a FAPE in the least restrictive environment (LRE). 15. Andrea Rosenfeld was a school psychologist at Lull and the Lull Satellite Campus. She had 10 years of experience as a district school psychologist at Lull and other special education centers assessing students with moderate to severe disabilities. Her duties included assessing students, behavior intervention, and collaboration with teachers regarding student’s behaviors in the classroom setting. She was familiar with Student and had provided services for him at Lull. She had also assessed Student in preparation for the triennial IEP. She testified consistent with the psychoeducational assessment results and stated that Student was a high functioning child who showed a lot of improvement over the years in a number of areas. Student still had difficulty with articulation but had become skillful in communicating his wants and needs, was more social with adults and students, and his negative behaviors had decreased. His communication skills had improved to the degree that he communicated by verbalizing in two-to-three word sentences and a combination of signing and using assistive communication devices like PECS. Although Student’s cognitive level was in the below average range, he was higher functioning than others in his class and at Lull in general. She described him as more in the moderate range. She confirmed that communication was a primary area of need for Student. She was a member of the IEP team that recommended placement at the Lull Satellite Campus. She was also a participant in the development of the redesigned program and would be the school psychologist at the Lull Satellite Campus. In her opinion, the placement was an opportunity for Student to increase his skill levels in all areas. She also opined that Student was a good candidate for the program because communication skills development was the focal point of the program and the program would expose him to modeling by typical peers which he could not receive at Lull or any special education center, such as Liechman. Ms. Rosenfeld credibly testified that Student’s IEP could and would be implemented in the proposed placement. She had no safety concerns because students on the Lull Satellite Campus would have adult supervision throughout the school day and they would gradually be introduced to the general education students through the social skills program. She believed that interaction with typical peers was important to the development of autistic children like Student and that placement at the Lull Satellite Campus provided Student a FAPE in the LRE. 1. Student does not dispute the appropriateness of the program and services offered in the April 9, 2013 IEP. The sole issue addressed below is whether the offer of placement at the Lull Satellite Campus at Reseda High School is an appropriate placement for Student. Student contends that the offer of placement is inappropriate for Student and is not based on Student’s unique individual needs. Student asserts that (1) integrating Student with children who are not special needs will discourage Student and impede his educational progress; and (2) he is at risk for failure on a general education high school campus because of his inability to speak and communicate efficiently. Student also argues that the appropriate placement is at Liechman. Finally, Parent argues, because she is a single parent of three children without access to private transportation, that it would be difficult for her to get access to all three of her children at three different schools in the event of an emergency. District disagrees and contends that the IEP offer of placement at the Lull Satellite Campus with accommodations and supports was appropriate and provided Student a FAPE in the LRE. 2. As discussed below Student has not met his burden of proof that the April 9, 2013 offer of placement at the Lull Satellite Campus denied him a FAPE. 11. The controversy in this case concerns which special education class in the continuum of program options is less restrictive for Student and provides meaningful educational benefit to Student. The evidence established that as of the ninth grade in the SDC at Lull, Student had made substantial and significant progress in all areas of need. Student’s language abilities had progressed from significant delays in receptive and expressive language to substantial improvement in both receptive and expressive language. Student’s behaviors had improved and he was able to function in the classroom setting. He was able to understand information presented verbally to him and follow multi-step directions when presented in a clear and concise manner. Overall, Student had substantially improved his social emotional and self-help skills. Student still required instruction in a small, structured classroom program with a high adult-to-student ratio in order to monitor for safety and to develop flexibility with transitions and changes in routine. Relative to other moderate to severe students at Lull, Student was a high functioning child who had shown substantial improvement and progress over the years. 12. In Rachel H., the court considered whether a child with special needs should be fully integrated, or mainstreamed, into a regular education program, with the support of a one-to-one aide. In that case, the intent was to have the student spend all of her time in the regular education program and not to be removed at all for specialized instruction. In contrast to Rachel H., Student in this case has spent all of his time educated in a moderate to severe SDC at Lull. Unlike Rachel H., the issue in this case does not involve a choice between a placement which fully integrates Student in a regular education classroom setting and placement in a special education program. This case concerns two special education placements which offer different degrees of participation with general education students and opportunities for mainstreaming. Keeping this distinction in mind, the factors used to determine whether District’s offer of placement in Rachel H. constituted the LRE are helpful given the mandate to educate Student with nondisabled peers “to the maximum extent appropriate.” The Lull Satellite Campus would provide the same level of services, supports, accommodations, and curriculum, as at Lull, where Student was making significant progress in all areas. Thus, there was an educational benefit from this program and the educational environment included smaller classes, lower adult-student ratio, and a secure and safe campus. In addition to the educational environment, the program on the Lull Satellite Campus provided other non-academic benefits including multiple opportunities for interaction with general education peers, by gradual introduction through a social skills program, unified sports programs and gradual transitioning into the mainstream. Moreover, Lull Satellite Campus was located within Reseda High School, the school Student would attend if not disabled. 13. Parent presented no evidence that the Lull Satellite Campus was not appropriate. Parent’s argument that Student’s lack of communication skills and lack of safety awareness warranted placement in a more restrictive environment at Liechman was not supported by the evidence. Parent’s testimony focused solely on her concern for her transportation needs and the inconvenience of having her children at separate schools. The District witnesses all testified credibly that based upon their years of experience, observation, and knowledge of Student, and the nature of the Lull Satellite Campus, the offered placement provided meaningful educational benefit to Student and was appropriate. 14. The evidence established that the IEP offer of placement at the Lull Satellite Campus provided Student a FAPE in the LRE for the following reasons. The placement offer provided for a special day class for autistic students on a general education campus with all the supplementary aid, supports and accommodations Student needed to access his education in a safe, secure, and stimulating environment. The placement also provided a small structured classroom with a high adult to student ratio and provided opportunities for exposure to typical students to maintain and enhance the progress made in all areas but specifically to facilitate his communication skills and his ability to function in the community. The testimony of District witnesses also established that Liechman was an isolated special education center with no opportunities for interaction with typical peers and was not an appropriate alternative to the Lull Satellite Campus. In sum, District offered an SDC placement for Student with higher functioning peers, with all supplementary aides and services provided in the IEP, with the same allocation of time to specialized academic instruction, and with some opportunities for mainstreaming with typical peers on a general education campus. District provided a placement that enabled Student to derive both academic and nonacademic benefit and to make substantial progress toward his goals, which was reasonably calculated to provide Student a FAPE in the LRE.